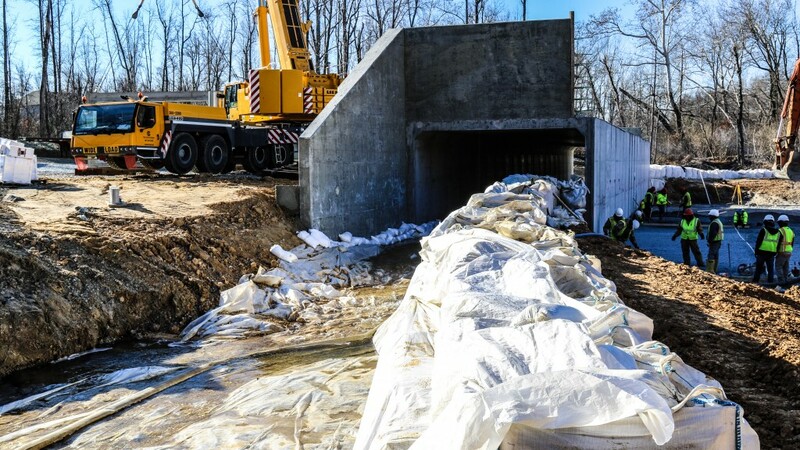 Box Culvert & Arch Structures - Delmarva Site Development, Inc.
Delmarva is equipped to complete even the most challenging concrete structure installations, particularly in aquatic environments. We maintain professional working relationships with permitting agencies and inspectors to ensure that your project is delivered on schedule while mitigating any impacts to environmentally sensitive areas. You can trust our team and partner network to deliver your structure efficiently and within project-specific budget constraints.